Healthcare has become one of the major industries in Pittsburgh and Allegheny County. A healthcare provider’s error can change a life forever. If you or a loved one has been hurt by a professional you trusted, The McClelland Law Group is prepared to find out exactly what happened and recover the compensation you deserve. Our Pittsburgh attorneys have extensive experience in medical malpractice law and will fight to deliver the maximum compensation possible. But you must act quickly, while the evidence is available and witnesses' memories are fresh. Recognizing signs of medical malpractice is not always easy. True, certain procedures are more prone to malpractice than others, but medical negligence can occur when least expected. This is why medical errors have become the third leading cause of death in the United States. 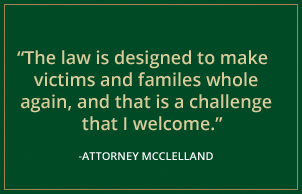 But at The McClelland Law Group, our personal injury attorneys have been protecting patients' rights for more than 30 years. We know how to investigate potential cases of malpractice and assemble the evidence necessary to prevail. Duty — The healthcare provider must have a professional relationship with the patient, which imposes a duty to perform services at a professional level. Breach — The healthcare provider must have made a mistake that another reasonably well-trained professional would not have made under the same circumstances. It must be a mistake that clearly indicates substandard performance. Causation — The healthcare provider’s mistake must cause the patient’s injury. Patients often have poor results despite the best care and good results in the face of poor care. Not only must the care be poor, but it must directly cause the poor results. Damages — The patient must have suffered actual harm. This includes economic losses and noneconomic losses, such as pain and suffering. Anesthesia and surgical errors — Too little anesthesia can cause a patient to awaken during surgery, whereas too much can lead to brain damage due to anoxia or even death. Surgical errors can produce debilitating pain, deadly infections, or internal bleeding, and require additional surgery to repair. Birth injuries — Poor handling of delivery can inflict serious birth injuries such as cerebral palsy, brachial plexus injury, Erb’s palsy, or shoulder dystocia. Misdiagnosis or delayed diagnosis — Mistakes in spotting serious illnesses such as cancer or heart disease can allow the disease to worsen to the point where it is life-threatening. Medication errors — Mistakes prescribing or dispensing drugs can deny a patient the benefit of life-saving therapy, cause unwanted side-effects, or even cause a drug overdose. We take a close look at medical records to determine how and when medication errors occurred. We have also managed cases arising from emergency room errors, nursing malpractice in hospitals, nursing home neglect and abuse, and medical malpractice in Veterans Affairs facilities. To learn more, see our page of significant medical malpractice cases. Pittsburgh is known as the City of Bridges. If you are hurt due to medical malpractice, we want to be your bridge to a more comfortable and secure future. 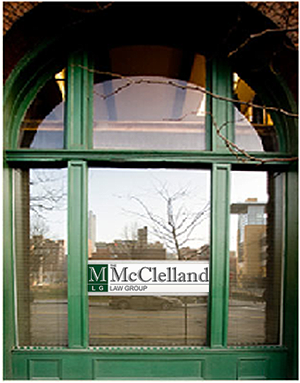 To speak to a dedicated medical malpractice attorney, call The McClelland Law Group toll free at 888.U.ASK.LAW or contact our Pittsburgh office online. Your consultation and case evaluation is free. We charge no attorney's fees unless we are successful in recovering compensation on your behalf. Our office is conveniently located in downtown Pittsburgh, just two blocks from City Hall. But if you are unable to travel, one of our lawyers will be happy to visit you in your home or hospital room.